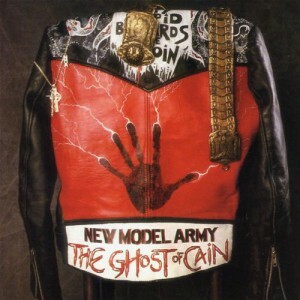 The Ghost of Cain is the third studio album by British post-punk outfit New Model Army. Unlike a great number of other rock bands, New Model Army has a big emphasis on narrative-driven lyrics that touch on serious themes of justice, politics and social issues. This is outlined right from the get-go with The Hunt, which deals with street justice in a town overrun by drug dealers and thugs that are untouchable due to corruption and fear. 51st State is an irony-soaked acoustic song about American exceptionalism while Master Race reflects on countries acting like the world police because of their arrogant sense of superiority. Western Dream is perhaps the most serious in terms of lyrical content when Justin Sullivan pessimistically looks at “the bitterness of failure and the dirt of success” in the western world. He goes on to sing about how sometimes it looks like there are only two choices; know your place or “trample over everyone” to be successful while living with the dirt of doing so. Every instrument has been mixed with a high degree of clarity so that they are all represented equally on The Ghost of Cain. This means that the bass can not only be heard clearly, which is a rarity in rock music, but it proves to be an integral part of the New Model Army sound. There is also a noticeable influence from folk music on 51st State, All of This and Lovesongs while Poison Street and the dusty sounding Ballad feature the harmonica courtesy of Mark Feltham. All of these inclusions play perfectly into the post-punk ethos of expanding beyond punk rock’s simplistic 3 chords of fury to explore more artistic possibilities while maintaining the same energy and passion.